This is the most delicious holiday drink. It is kid friendly and alcohol free. If you need a quick and delicious drink recipe, this is one you need to try. It is so easy to make and comes together in seconds. I hate to admit it, but I am one of those people who “drinks my calories.” I have never met a fruity beverage I didn’t like. All of these delicious holiday drinks on the store shelves are killing me. I want to drink them all. But I also love making my own punch, because I can put more flavor in it. 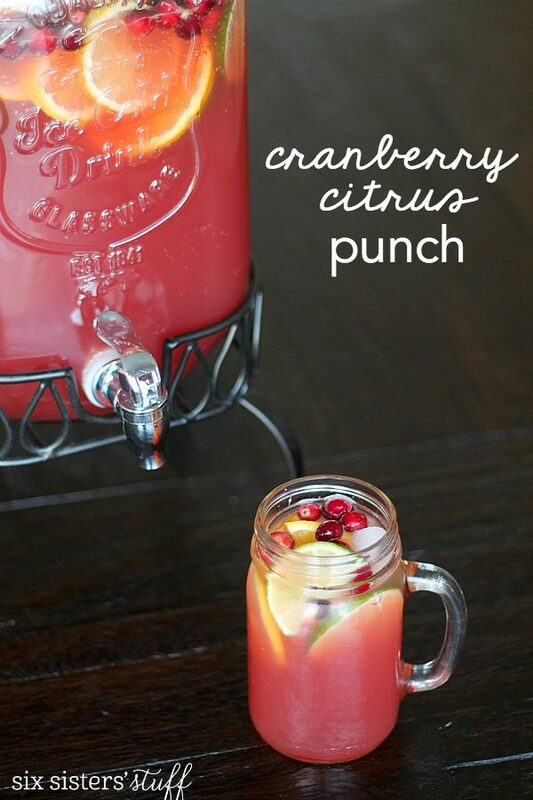 This Cranberry Citrus Party Punch is as beautiful as it is delicious. It is perfect for presentation, and everybody loves it. can i use frozen cranberries instead of fresh? I personally prefer using fresh cranberries over frozen. It adds a fresh taste to the punch, however, if frozen cranberries are your only option, they will work and will still taste great. If you are looking to switch the cranberries out, I recommend adding pomegranate. what could i use besides GINGER ALE? Ginger Ale is not well loved by everyone, however, I love it. If you are looking to replace it, I recommend using Sprite, Mt. Dew, Fresca (flavored Fresca would also be fine), sparkling water, Cranberry Sprite, or 7 Cherry Up. They are all delicious alternatives, that resemble ginger ale. how far in advance can i make this punch? I love waiting to serve this punch, a few hours before serving because all the flavors of the citrus and cranberries, settle in the punch, and leave a strong, delicious taste. However, it is carbonation, so it won’t be very strong if you wait too long, to serve it. I would recommend serving it within 6 hours of making it. If you are looking to save time, I recommend cutting the fruits ahead of time, so you can throw it all together, right before serving. I also like to add ice, because nobody wants a warm drink. Did you know we have a Youtube Channel? 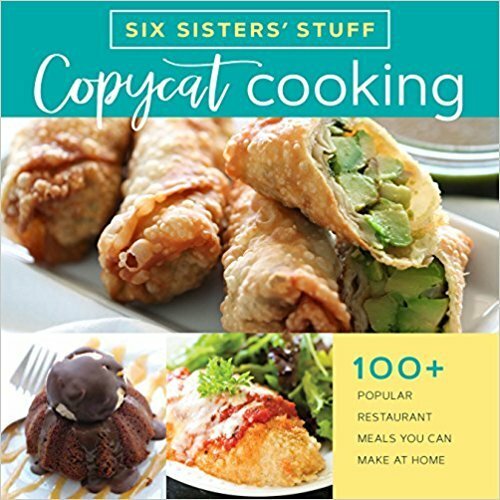 We have hundreds of simple delicious food and drink recipes, your family is going to love. We created our channel, just for YOU so you know exactly how to make each recipe. This Cranberry Citrus Party Punch is just the perfect amount of tangy and fruity! It is perfect for parties and gatherings! Pour ginger ale and juices into a 2 gallon drink dispenser. Put cranberries, orange slices, lemon slices and lime slices on top. Absolutely delicious! Not a punch fan but it was a combination of tart and sweet and everyone loved it. How much do I need for 300 guests??? For an church holiday event. This recipes is for about 25 servings. So for 300 people you would need to make it 12 times. Is there an order in which you add the juices to mix it? Just curious. We usually add the ingredients in the order listed in the recipe. Can you add alcohol to it? If so what would you recommend?? We have only made this recipe as directed on the instructions. We don't drink alcohol, so we aren't much help here.